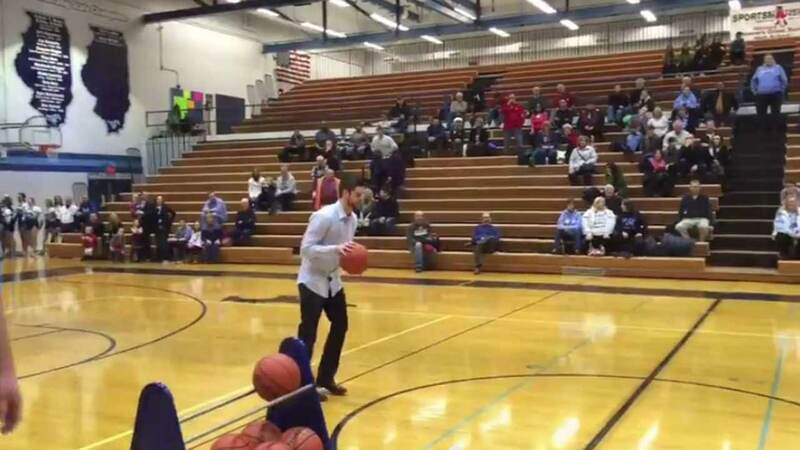 DOWNERS GROVE, Ill. (WLS) -- Two west suburban brothers celebrated entering their high school's Hall of Fame in spectacular fashion. Bryan and Brendon Mullins were honored at Downers Grove South High School Saturday night by being inducted into the Mustang's Hall of Fame. The brothers each attempted a half-court shot at halftime of the team's game and the results reflected the success the two had in their basketball careers.